The F500 series is based around an IsoFlareTM point source drive unit; technology which our Technical Director, Dr. Paul Mills, is renowned for. Our technical team, responsible for the audio performance and mechanical build of this type of driver, has many decades of experience between them. Combining Fyne Audio’s IsoFlareTM driver into a rigid cabinet, with a cleverly designed porting system, ensures optimal in-room performance. 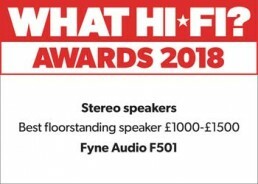 Floor standing models in the F500 series use a rigid MDF plinth with large floor coupling spikes giving stability to ensure well-controlled bass performance and further enhancing stereo imaging. 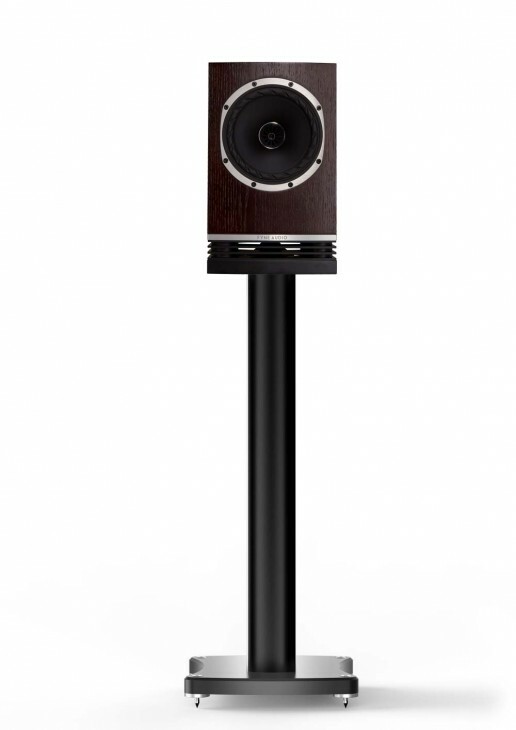 Additionally, the spikes can be adjusted from above the plinth allowing easier levelling of the speaker. The cabinets are crafted using real wood veneers and are available in choice of Dark Oak, Black Oak, Piano Gloss Black and Piano Gloss White. The bookshelf and floorstanding models employ an internal, downwards-firing port system. Below the port, a Tractrix profile diffuser (patent applied for) converts plain wave port energy to a spherical 360-degree wave front, integrating energy uniformly into the room. This clever design ensures that the loudspeaker is less critical of room positioning. Low-loss, laminated core inductors and audiophile-grade polypropylene capacitors are used exclusively throughout the F500 series crossovers. The result is an exceptionally clean signal path and very low crossover losses, ensuring the very best in detail resolution and musical communication. The F500 range is as impressive with movies as it is music. FYNE AUDIO’s point source driver technology is ideal for articulating the finest of movie detail with pin-point accuracy. High efficiency and high-power handling means the F500 series delivers an incredibly dynamic and lifelike performance whether you are listening to DTS Master Audio or Dolby True HD. 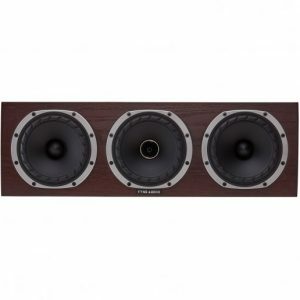 Point source driver technology is not new to Fyne Audio. Our technical team, responsible for the audio performance and mechanical build of the driver, have many decades of experience between them. Our proprietary IsoFlareTM design ensures constant directivity of the wave front generated, providing outstanding stereo imaging, even off axis. Furthermore, a smooth and extended response is delivered thanks to the highly rigid titanium high frequency diaphragm which pushes the break up mode well above the level of human hearing. To fully optimise the driver’s performance, every aspect of the meticulous design has been considered. A vented rear chamber in the Neodymium HF magnet places low frequency resonance well below crossover region. The unique geometry of the high frequency unit’s waveguide provides a flat frequency response and avoids internal reflections. To eliminate unwanted vibrations, which would be detrimental to the sound quality, both the point source driver and the supplementary low frequency driver fitted to the floor standing models, are built around a rigid cast aluminium chassis. Multifibre paper cones are used providing natural sounding midrange and clean transient behaviour. 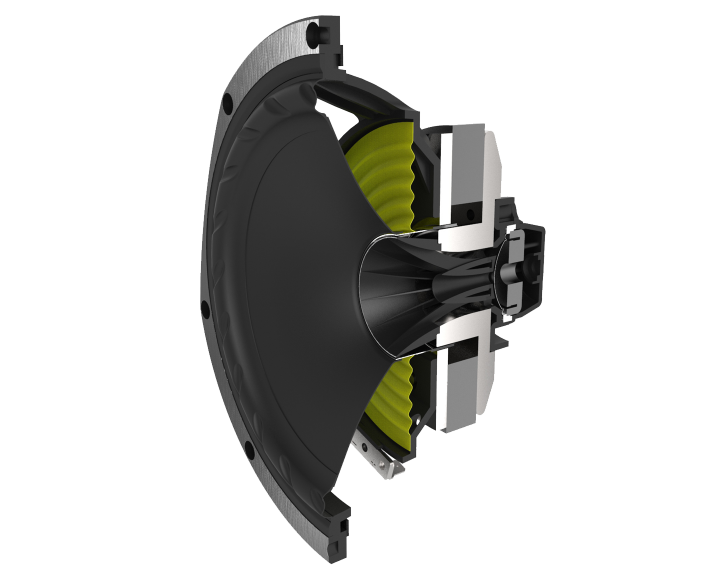 Cone energy is then very effectively terminated using a fluted rubber surround. Flagship of the F500 range, the F502 floorstanding loudspeaker delivers the series’ signature clarity and articulation along with visceral bass. 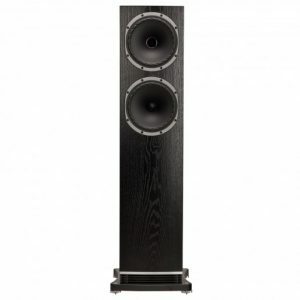 The system will suit larger listening environments but is capable of revealing a huge dynamic range even when played at low volumes in smaller rooms. Isotropic energy radiation, with point source constant directivity, is provided by a 200mm (8″) proprietary IsoFlareTM driver for outstanding stereo imaging, even off axis. A matched 200mm (8″) bass driver is also fitted to the 64-litre cabinet ensuring a breath-taking musical or home theatre experience. Ideal for medium to large-sized rooms, the F502 is supplied with a dedicated plinth incorporating our BassTraxTM Tractrix diffuser system, which integrates bass energy uniformly into the room. The luxuriously finished, contemporary styled cabinet is available in a choice of dark oak or black oak real wood veneer and piano gloss black or white. Enhancing its aesthetic appeal, it has a gently curved front and rear baffle which additionally benefits the acoustic performance by reducing colouration effects. 2 ½ way, downwards firing port, with BassTraxTM Tractrix diffuser. Twin cavity coupled reflex. 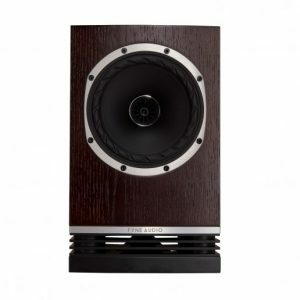 1 x 200mm IsoFlareTM multi-fibre bass / mid with 25mm titanium dome compression tweeter. 1x200mm multi-fibre bass. The luxuriously finished, contemporary styled cabinet is available in a choice of dark oak or black oak real wood veneer and piano gloss black or white. Enhancing its aesthetic appeal, it has a gently curved front and rear baffle which additionally benefits the acoustic performance by reducing coloration effects. 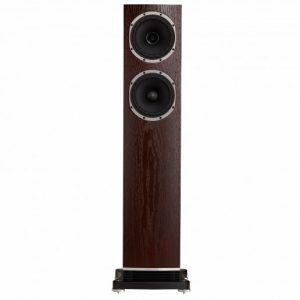 An out and out purist audiophile design, the stand-mount F500 utilizes a single 150 mm (6″) IsoFlareTM point source driver in a compact, ported cabinet. Offering precise imaging and intimate detailing, the F500 is ideal for small to medium listening rooms. Incorporating a down-firing port, bass energy is evenly dissipated into the room with our BassTraxTM Tractrix diffuser system. Designed for multi-channel loudspeaker systems, the F500C is a dedicated center channel loudspeaker voice matched with the F500 range. A 125mm (5″) IsoFlareTM driver is at the heart of the F500C, delivering pin-point accuracy when the movie action is taking place center stage. 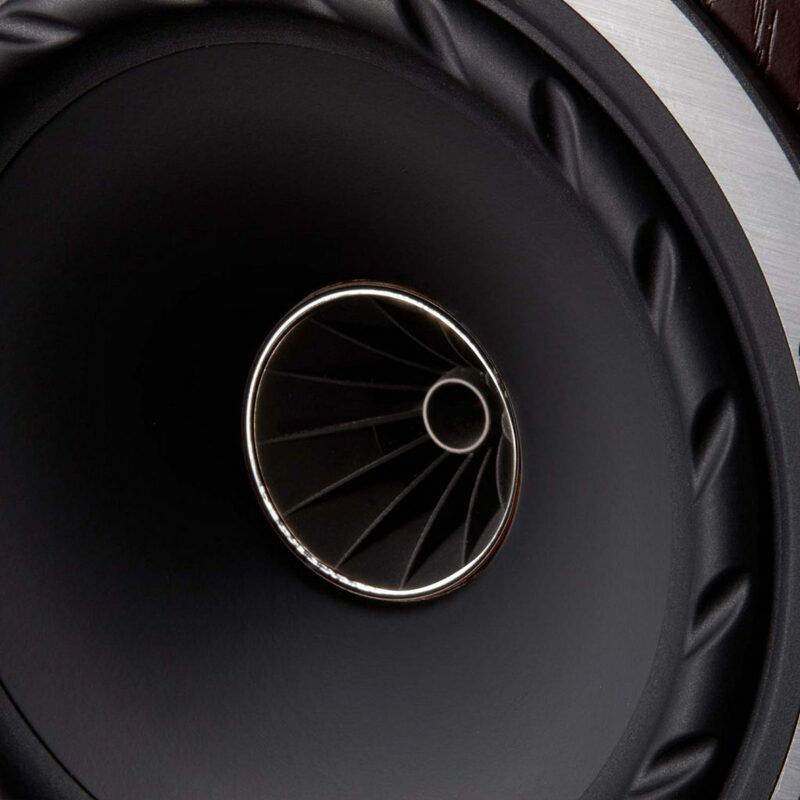 Providing additional low frequency extension and impact, the IsoFlareTM driver is accompanied by two 125mm (5″) bass drivers.